Somewhere to store Christmas decorations? 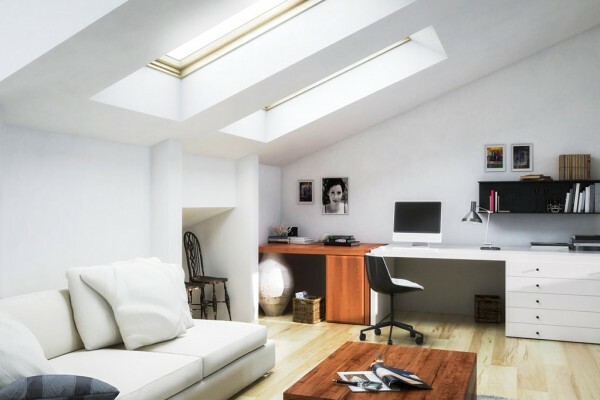 On average, 30% of a property’s space is in the loft. Converting this unused space typically adds 20% to the property’s value (so it pays for itself!) and can give you extra space without encroaching on your garden and outside spaces. 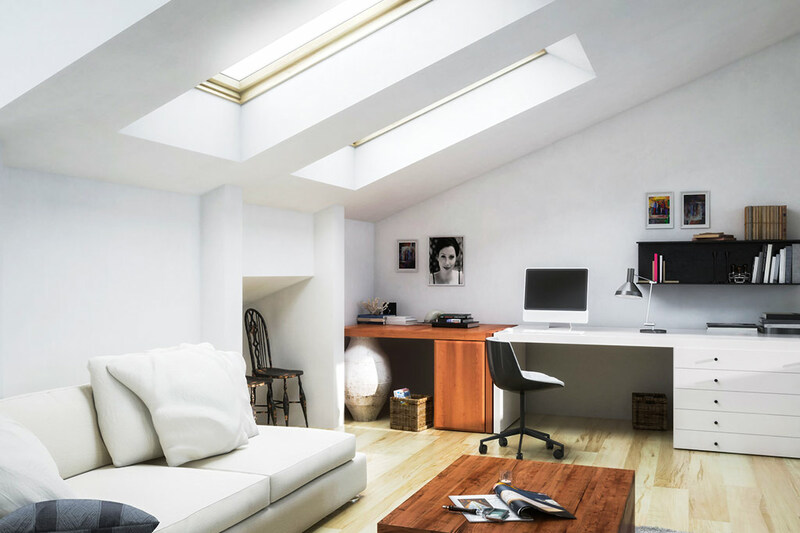 Planning permission is rarely required for a loft extension, and our planning team are experts at getting the most out of the space. 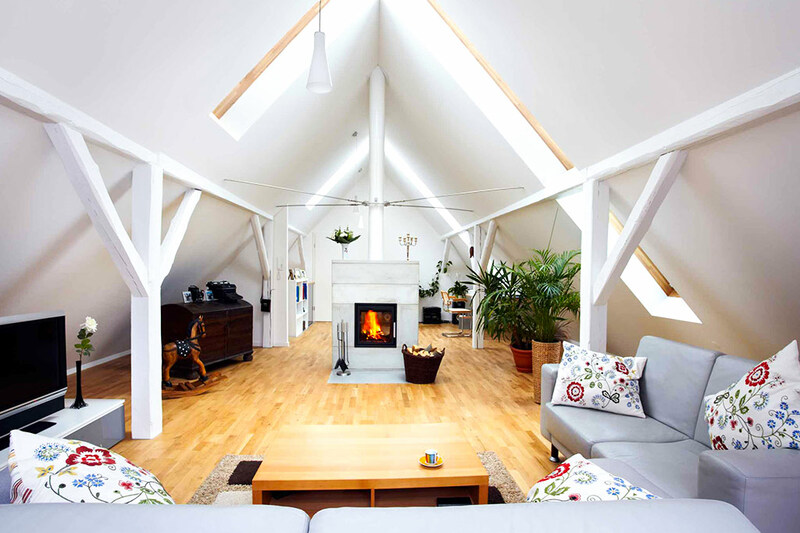 We can add tons of natural light in a variety of ways, use supports in place of existing beams, add in electricity and plumbing, and finish your new conversion to the highest finish and specification. This conversion benefits those with limited loft or attic space. There are 4 main forms of dormer conversions: Flat Roof, Shed, Gable Fronted and Hip Roof. Velux windows are installed into the existing roof, allowing tons of natural light to flood through through, making a room more spacious and inviting. This conversion extends the full plane of your property’s roof, converting the sloping side of your roof to an almost vertical one, with small dormer windows. How can I tell if my loft is eligible for a conversion? 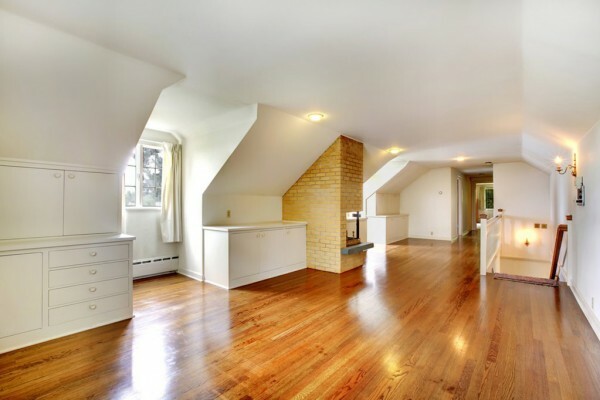 Commonly, most people find that they can convert their lofts. But as a general guide, a headroom lower than 2.2 metres may not be eligible. To measure your loft’s headroom, stand in the middle of your loft, measuring the distance between the ceiling joists and ridge board at the apex of the roof. Is the local authority involved after receiving planning permission? The local authority receives the plans from the architect and then checks that all the structural calculations are up to standards. Once this is confirmed, approved plans are returned and then the conversion may begin. As we proceed through different stages of the conversion, a building’s instructor from the local authority visits on site to ensure the work is carried out properly and professionally. Once the work is complete, a final inspection is undertaken to accept the final results. You (the homeowner) should then receive confirmation in form of a completion certificate, validating that all work complies with the building regulations across England and Wales. The length of completion depends on the size and complexity of the conversion. For an average sized home, work should be completed in between 5 and 8 weeks, from when work commences. Will I lose a room to fit the new staircase? Typically, no. We believe that there is no sense in converting your loft for more space if it means losing a room which you currently have! Our preferred method is to install the staircase from the landing, or an alternative space which is already available. Will I need planning permission? Answer: Generally, many home conversions do not require planning permission. In October 2008, the planning laws for loft conversions in England and Wales were reassessed. Previously, many suffered with the old laws because local authorities had different requirements and permissions, meaning that some loft conversions were inevitable. However, the good news is that with the new and simplified laws only a minor amount of homes require planning permission. How can I tell if I need a Dormer window? Dormer windows can be put on almost any loft conversion. Dormers offer extra space and light into the room. 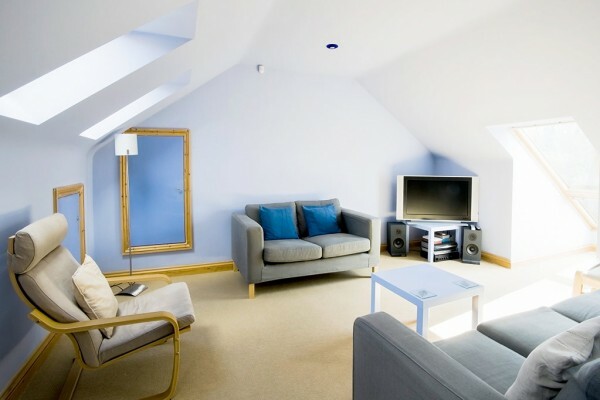 For those with a smaller loft, a dormer may need to be fitted at the top of the stairs for extra headroom. At what times of the year do you work? We’re proud to say we can fit your loft conversion all year round. The winter months are easily handled – we use a weatherproof technique to ensure minimal disruption and heat loss during the process. What is the Party Wall Act and does it affect me? Answer: The Party Wall Act of 1996 enables a property owner to carry out works on a party wall, with rights beyond ordinary common law. You should require this is if your property is terraced or semi-detached as RSJs (steel beams used to support your building’s structure) rest on and inside the party wall. The Act is used to keep possible disputes at bay once work has commenced. If you will be doing any of the above, you must contact and inform the adjoining owners (before ANY work commences). Your notice must include your name and address (including joint owners), the address of the building the work is being done on, a complete description of the works and the time work will begin. Remember to date the notice.